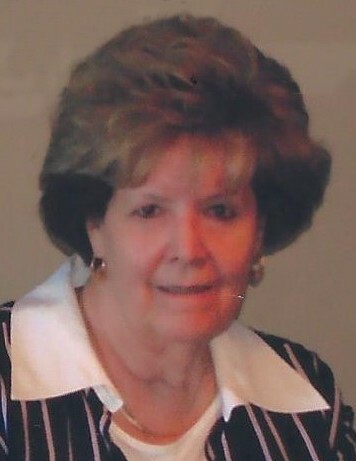 Diane Katherine Jennings passed away Friday April 12, 2019. She was born August 23, 1938 in Milwaukee Wisconsin to Adeline Schwichtenberg and Alvin Tomaszewski. She grew up in West Allis Wisconsin, where she loved to ice skate and sled down the hill on her father’s back. She grew up on good German food, bratwurst and cheese. She enjoyed baseball games and NASCAR. Diane was a member of the Catholic Church. She attended West Allis High School. She married John Herr they lived in France while he was in the army. They later divorced. Diane moved to Tooele and married the “love of her life”, Arvil Jennings in September of 1978. Diane became a pillar in the Tooele community. She worked and retired from Tooele Federal Credit Union and volunteered at the Senior Center and at Mountain West Medical Center in imaging. Diane had a great sense of humor. She was a proud and private person. She loved to shop and look her very best. Her mind was quick and bright to the very end. Diane’s Tooele friends were very dear to her. Diane was preceded in death by her dear husband Arv, sister Phyllis Tomaszewski and a step-son, Calvin. She is survived by her sister Sandy Wojcik (Ron), and her late husband’s children; son Allan (Judy), son Ken (Sheila), daughter-in-law Carol, son Gary (Jackie), daughters Brenda Ivy (Keith), and DeeAnn Vigil, 3 nieces 2 nephews and 18 grandchildren and many great-grandchildren. The family would like to thank the staff of The Rocky Mountain Care Center, Rocky Mountain Hospice and Diane’s friend Laurel for their tender care. A memorial service will be held at Tate Mortuary 110 S. Main Street in Tooele, Utah on Wednesday, April 17, 2019 at 11:00 a.m. The family will greet guests 1/2 hour before. Interment at the Tooele City Cemetery to follow.